How cute are these pumpkins? 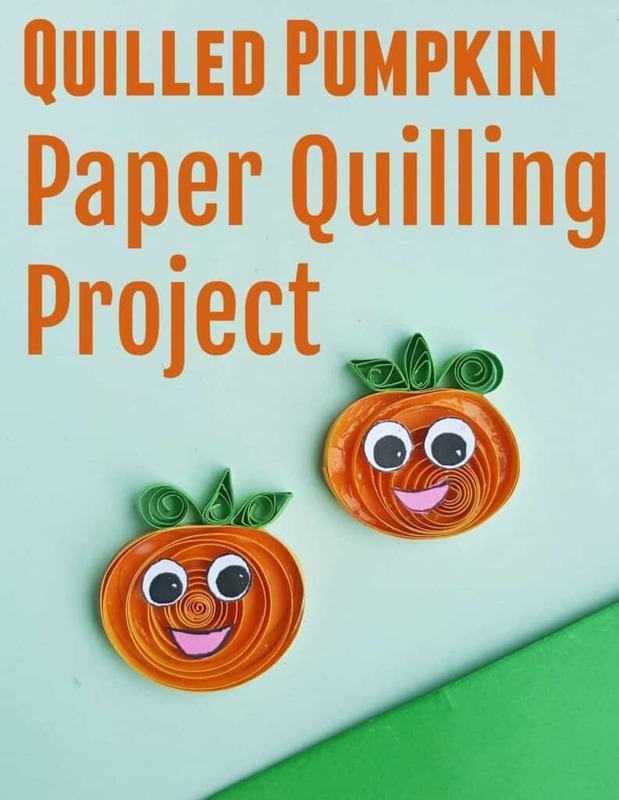 These step by step Paper Quilling instructions for a Quilled Pumpkin is a perfect Halloween craft for kids. Paper Quilling projects are seriously so fun. 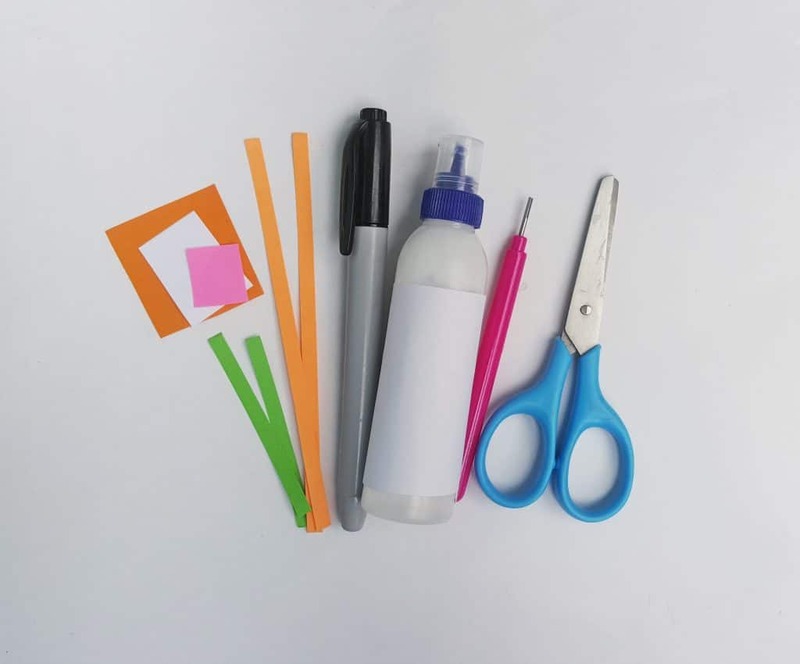 If you are wondering how to paper quill we have a step by step instruction guide below that can show you how easy it is and how adorable they turn out. These quilled pumpkins are fun for quilled cards or for Halloween decoration. They would look super cute with our Quilled Spider. 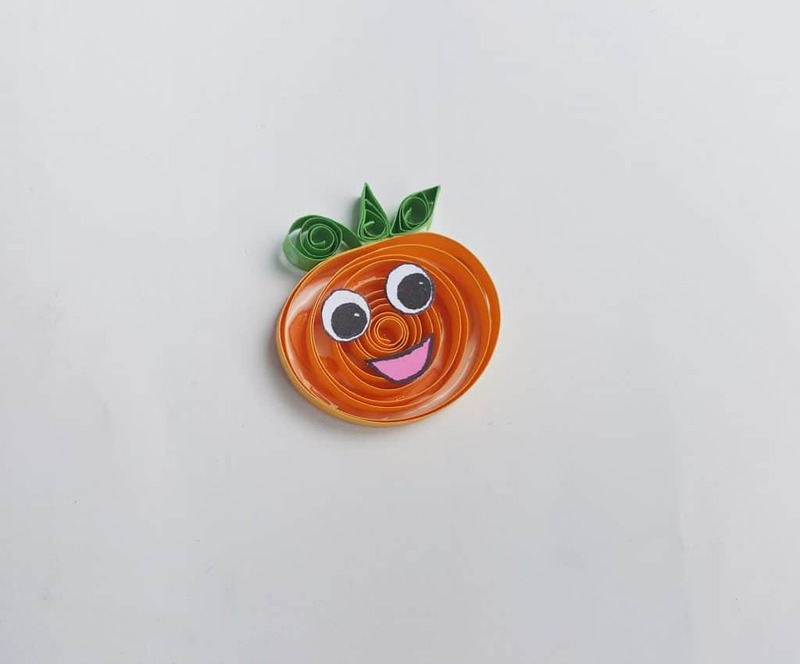 I have included full step by step directions below so you can make this easy quilled pumpkin yourself. Have fun! 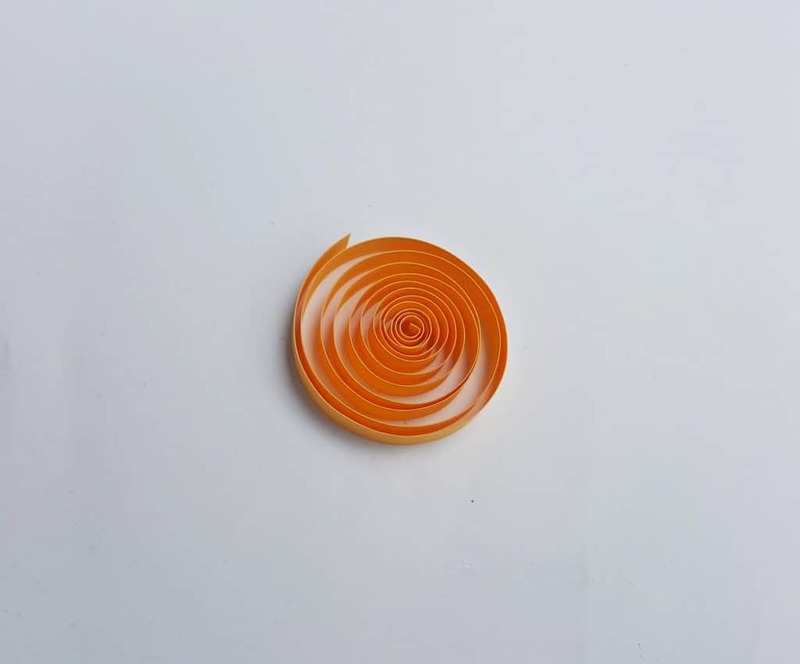 Take a long piece (about 20 inch) of quilling strip and use the slotted quilling tool to coil the whole strip. Take out the coil from the tool and allow the coil to loosen up. 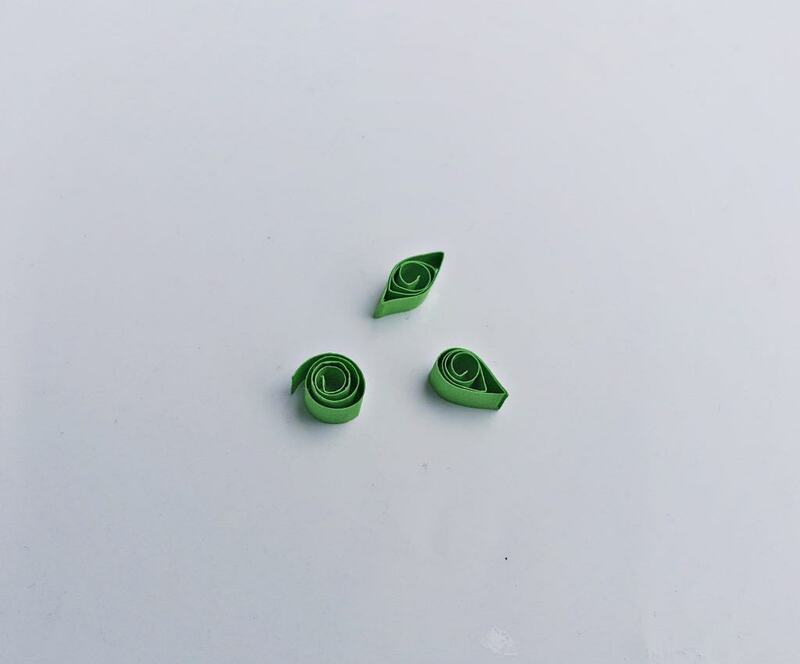 Take 3 pieces of small (3 inch), green colored quilling strips. 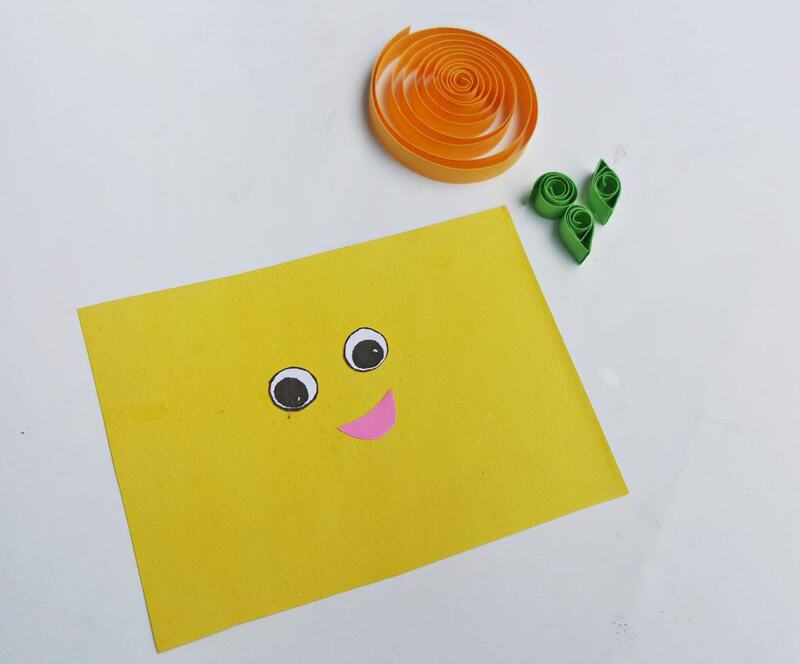 Create 3 shapes with them – one loose coil, one teardrop shape and one lens shape. Cut out 2 round pieces from white craft paper and use black sharpie to draw the outlines and the eye balls; these will be the eyes of the pumpkin. Cut out the mouth pattern from a pink colored craft paper. 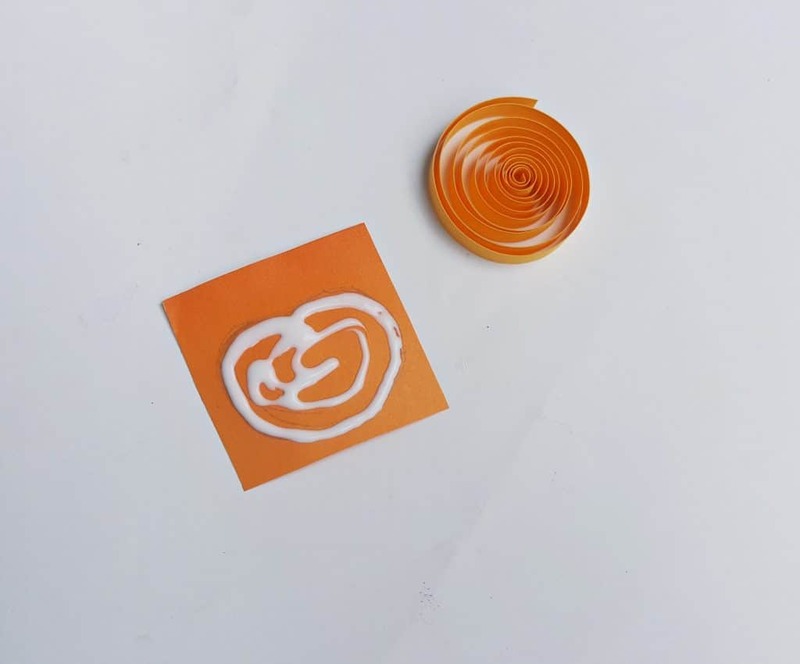 Take a piece of orange colored craft paper and use craft glue to trace a pumpkin outline on it; the size of the pumpkin outline should be same as the size of the loose coil prepared in step 1. 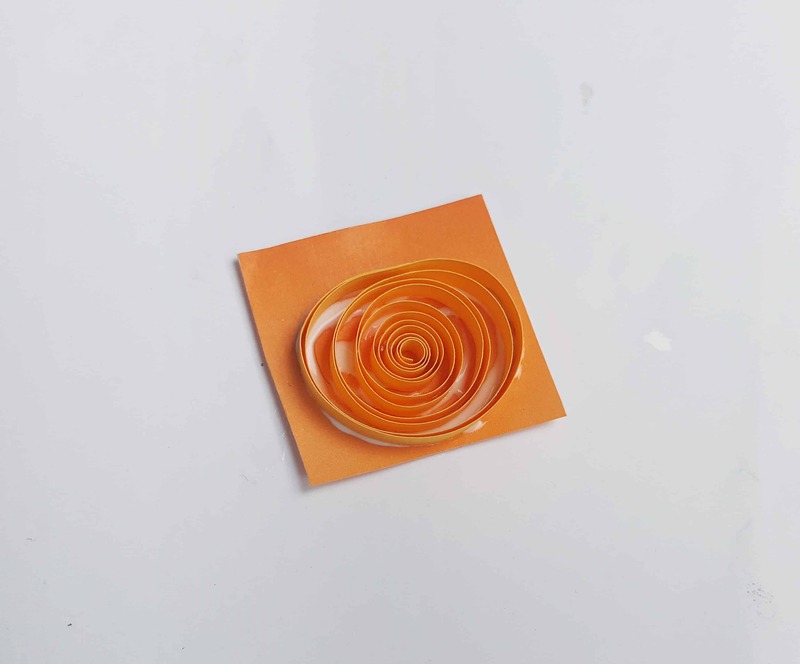 Place the loose coil on the glued area of the orange craft paper. 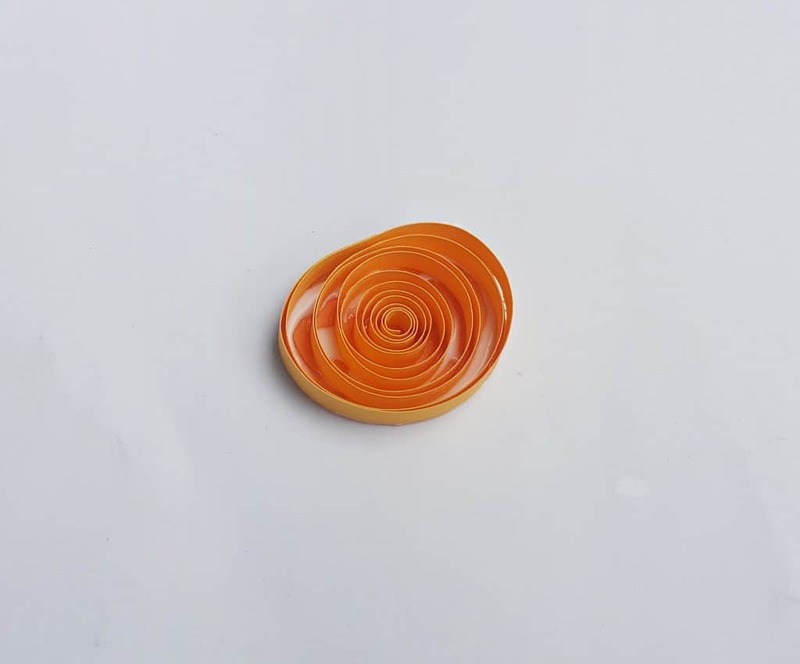 Nicely adjust the outer end of the loose coil along the outer end of the glue traced pumpkin shape. 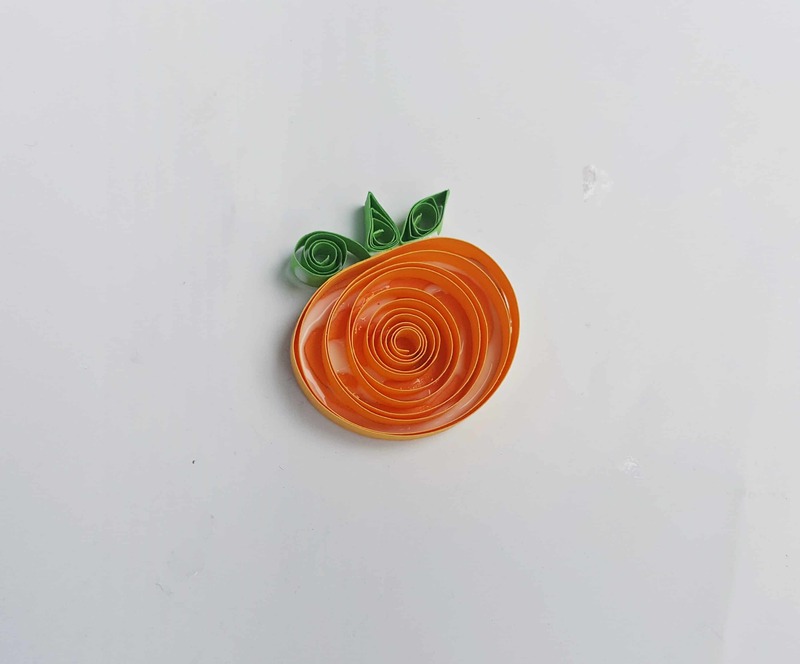 Glue the teardrop shape on the top middle part of the coiled pumpkin. Also, glue the loose coil on any one side of the teardrop shape and the lens shaped piece on the other side of it. And finally glue the eyes and the mouth on the quilled pumpkin on their laces. Allow the glue to dry entirely.